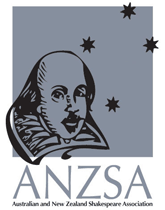 As President of the Australian and New Zealand Shakespeare Association, I fully endorse the Charter of the Rights of Casual Academic Staff. This is an issue that affects all of our members as well as being most keenly felt by the early career academics and postgraduate students within our membership. With increasing casualization of the academic workforce in Australia and New Zealand, as well as globally, all institutions that rely on this workforce have a fundamental responsibility to their staff, to their students, and to all their stakeholders to ensure that the conditions spelled out in the Charter are properly resourced and protected in policy and procedure. Without a properly remunerated and resourced casual workforce, the quality of delivery of the curriculum to students suffers, the level of support given to current staff diminishes, the reputation of the institution declines, and future reserves crumble as outstanding early career academics are driven away from the workforce in pursuit of more stable and rewarding career pathways. Every academic institution protects its current investments and provides for strength in the future of the tertiary education sector by subscribing to the Charter of the Rights of Casual Academic Staff.